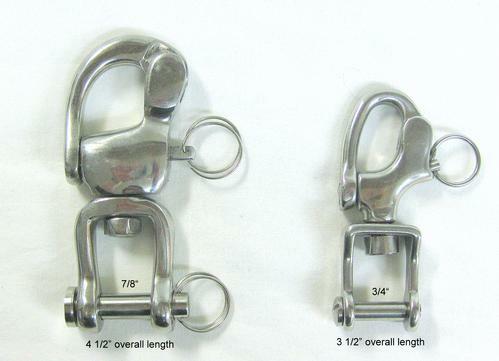 Shackle Snap SS quick release great for using on tugs, double trees, chains or other areas where quick connections needs to be done safely. Available in 3/4" and 7/8". Priced each.